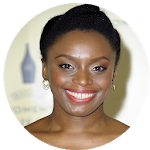 Chimamanda Ngozi Adichie is a Nigerian novelist, writer of short stories, and nonfiction. 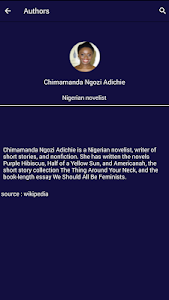 She has written the novels Purple Hibiscus, Half of a Yellow Sun, and Americanah, the short story collection The Thing Around Your Neck, and the book-length essay We Should All Be Feminists. 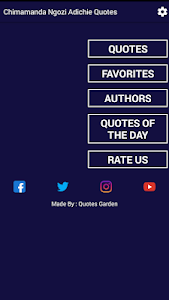 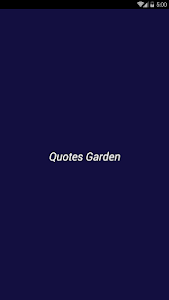 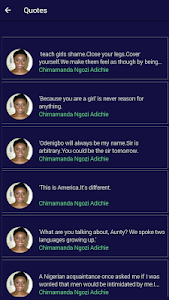 Similar to "Chimamanda Ngozi Adichie Quotes"